... he was 63 years-old when he passed away. John Alvin Ray was born in Dallas, Oregon. He was of Native American origin; his great-grandmother was a full-blooded Blackfoot Indian and his great-grandfather was Oregon pioneer George Kirby Gay of Berkeley, Gloucestershire, England. Popular for most of the 1950s, Ray has been cited by critics as a key forerunner of what would become rock and roll, because of his jazz and blues-influenced music and his stage presence. Ray's performing style included theatrics included beating up his piano, writhing on the floor and crying. As a result, Ray earned was referred to as "Mr. Emotion," "The Nabob of Sob," and "The Prince of Wails." Inspired by rhythm singers like Kay Starr, LaVern Baker and Ivory Joe Hunter, Ray developed a unique rhythm-based style, described as alternating between pre-rock R&B and a more conventional classic pop approach. Ray lost his hearing in is right ear at age 13 after an accident during a Boy Scout event. Ray later performed wearing a hearing aid. Surgery performed in New York in 1958 left him almost completely deaf in both ears, although hearing aids helped his condition. Ray's first record, the self-penned R&B number for OKeh Records, "Whiskey and Gin," was a minor hit in 1951. The following year he dominated the charts with the double-sided hit single of "Cry" and "The Little White Cloud That Cried." Selling over two million copies of the 78rpm single, Ray's delivery struck a chord with teenagers and he quickly became a teen idol. More hits followed, including "Please Mr. Sun," "Such a Night," "Walkin' My Baby Back Home," "A Sinner Am I," and "Yes Tonight Josephine." 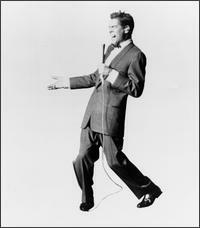 He had a UK Christmas #1 hit with "Just Walkin' in the Rain" in 1956. He hit again in 1957 with "You Don't Owe Me a Thing," which reached #10 in the Billboard charts. He was popular in the United Kingdom, breaking the record at the London Palladium formerly set by Frankie Laine. In later years, he retained a loyal fan base overseas, particularly in Australia. In early 1969, Ray befriended Judy Garland, performing as her opening act during her last concerts in Copenhagen, Denmark and Malmo, Sweden. His career in the U.S. underwent a resurgence in the early 1970s, with appearances on The Andy Williams Show in 1970 and The Tonight Show Starring Johnny Carson three times during 1972 and 1973. However, the revival was short-lived. Ray drank regularly and his alcoholism caught up with him in 1960, when he was hospitalized for tuberculosis. He recovered but continued drinking, and was diagnosed with cirrhosis at age fifty. On February 24, 1990, Ray died of liver failure at Cedars-Sinai Hospital in Los Angeles. He has a star on the Hollywood Walk of Fame. He died at the age of 64 from a stroke. 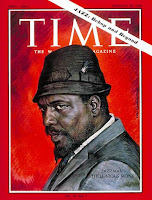 Born Thelonious Sphere Monk, he is considered one of the giants of American music. Monk made his first studio recordings with the Coleman Hawkins Quartet in 1944. Often regarded as a founder of bebop, Monk's playing later evolved away from that style. 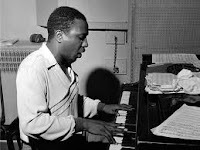 Monk had a unique improvisational style and made numerous contributions to the standard jazz repertoire, including "Epistrophy," "'Round Midnight," "Blue Monk," "Straight, No Chaser" and "Well, You Needn't." 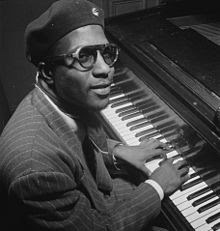 Monk is the second most recorded jazz composer after Duke Ellington, even though Ellington composed over 1,000 songs while Monk wrote about 70. 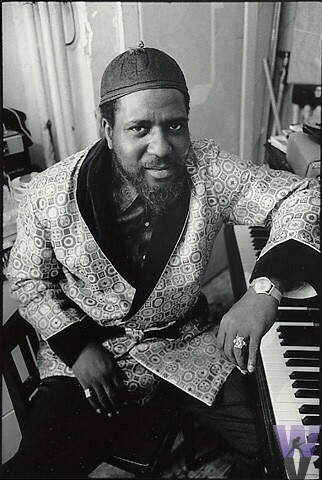 Monk was renowned for his distinctive style in suits, hats and sunglasses. He was also noted for the fact that at times, while the other musicians in the band continued playing, he would stop, stand up from the keyboard and dance for a few moments before returning to the piano. One of his regular dances consisted of continuously turning counterclockwise, which has drawn comparisons to ring-shout and Sufi whirling. ... he died at the age of 64. Jennings escaped death in the February 3, 1959, plane crash that took the lives of Buddy Holly, Ritchie Valens, and J.P. "The Big Bopper" Richardson, when he gave up his seat to Richardson who had been sick with the flu. According to folklore, Jennings and The Big Bopper flipped a coin for the last seat on the plane, with Jennings losing. It was Tommy Allsup who flipped the coin for the fated plane trip, losing his seat to Valens. In his 1996 autobiography, Jennings admitted that he suffered guilt and responsibility for the crash for decades. After Jennings had given up his seat, Holly jokingly told Jennings, "I hope your ol' bus freezes up!" Jennings shouted back, "Well, I hope your ol' plane crashes!" Waylon Arnold Jennings was born in Littlefield, Texas. When he was eight, his mother bought him his first guitar, and taught him how to play. 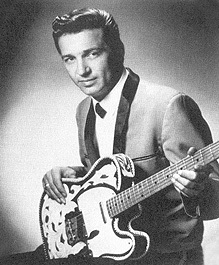 Waylon formed his first band two years later. 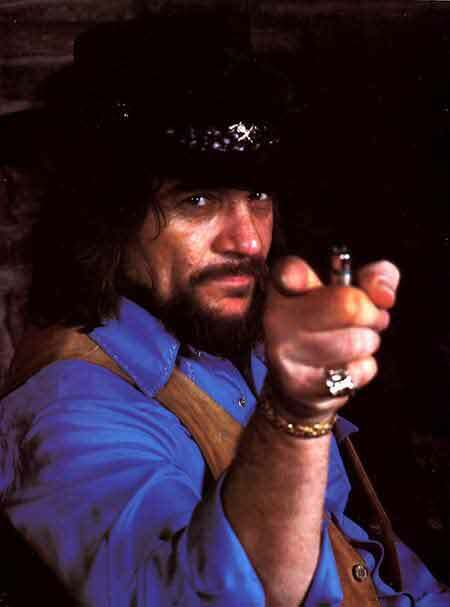 Waylon was kicked out of music class at school for lack of musical ability; he never learned to read music. 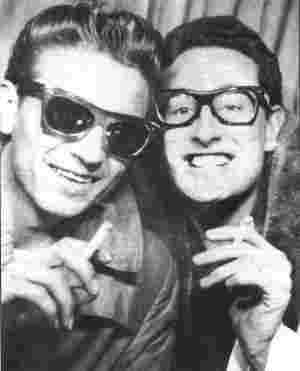 During his time working as a DJ, he befriended Buddy Holly. When he was twenty-one, Jennings was tapped by Holly to play bass in Holly's new band on a tour through the Midwest in early 1959. Holly also hired guitarist Tommy Allsup and drummer Carl "Goose" Bunch for the "Winter Dance Party" tour. After several years of inactivity following Holly's death, Jennings moved from Texas to Arizona and continued working in radio, Jennings began performing and recording again. He signed a contract with Herb Alpert's newly-formed A&M Records, and he had a few hit singles on local radio in Phoenix, including "Four Strong Winds" and "Just To Satisfy You." He also recorded an album on the BAT label, called simply JD's. He also played lead guitar for Patsy Montana on a record album that she recorded in Arizona in 1964. 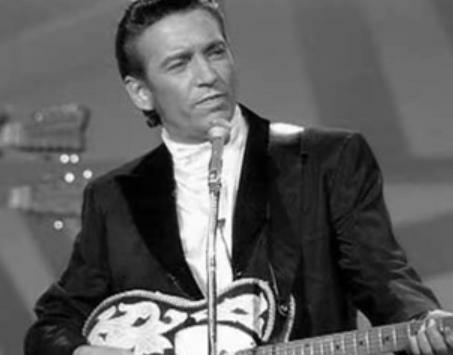 Duane Eddy and Bobby Bare recommended Jennings to producer Chet Atkins, who signed Waylon to RCA Victor. Bobby Bare did his own cover of "Four Strong Winds" after he heard Jenning's version. 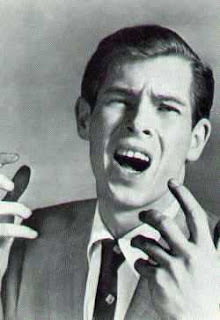 Still under contract to A&M, Alpert released him which allowed him to sign with RCA Records. Jennings packed up and moved to Nashville, Tennessee in 1965. Jennings was accustomed to performing and recording with his own band, The Waymores; this was a practice that was not encouraged by Nashville producers who controlled nearly every aspect of recording. Over time, however, Jennings felt limited by the Nashville sound and the lack of artistic freedom that came with it, in the 1960s country music industry. Jennings had grown more frustrated with the Nashville recording scene and a 1972 bout with hepatitis almost killed him. With his recording contract nearing an end, RCA had already lost another creative force that year: Jennings had met Willie Nelson, who had likewise felt frustrated by the lack of freedom in the studio and by the Nashville scene which led him to relocate his base to Texas, two years earlier. Jennings seriously considered returning to a broadcasting career in Phoenix. 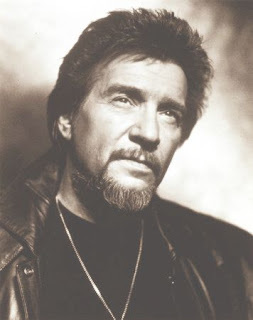 By the 1970s, Jennings had become associated with so-called "outlaws," an informal group of musicians who worked outside of the Nashville music establishment. 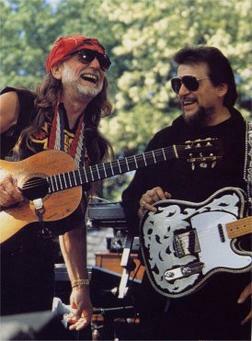 A series of duet albums with Willie Nelson in the late '70s culminated in the 1978 crossover hit, "Mammas Don't Let Your Babies Grow Up to Be Cowboys." In 1979, he recorded the theme song for the hit television show The Dukes of Hazzard, and also served as the narrator ("The Balladeer") for all seven seasons of the show. He continued to be active in the recording industry, forming the group The Highwaymen with Nelson, Johnny Cash, and Kris Kristofferson. Jennings released his last solo studio album in 1998. In 1999, Jennings assembled what he referred to as his "hand-picked dream team" - and formed Waylon & The Waymore Blues Band. Consisting primarily of former Waylors, the thirteen-member group performed a limited number of concerts at select venues, from 1999 to 2001. The highlight of this period was the January 2000 recording, at Nashville's historic Ryman Auditorium, of what would become Jennings' final album, Never Say Die: Live. An abbreviated album, composed of 14 tracks, was released in October 2000. A special edition box set, including all twenty-two tracks on two audio CDs, as well as a DVD with the complete concert and bonus features, was released on July 24, 2007 from Legacy Recordings. 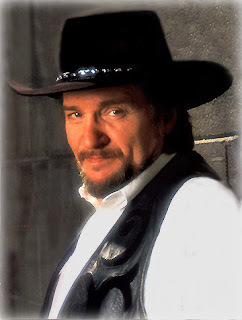 In 2001, he was inducted into the Country Music Hall of Fame. On June 20, 2007, Jennings was posthumously awarded the Cliffie Stone Pioneer Award by the Academy of Country Music. .... he was 56 years-old when he passed away. 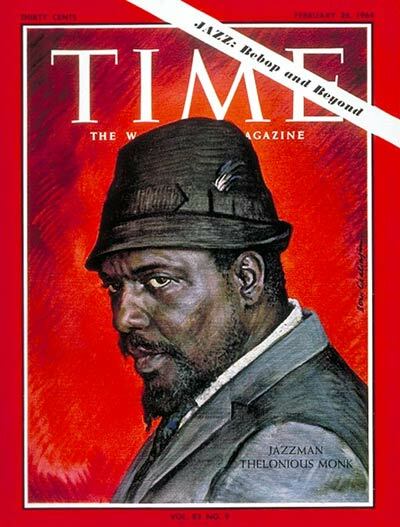 ... he died on Feb 12, 2000 when he was 56 years-old. William "Oliver" Swofford was born in North Wilkesboro, North Carolina. He began singing as an undergraduate at the University of North Carolina at Chapel Hill in the early 1960s. He was a member of two music groups — The Virginians and, later, The Good Earth — and was then known as Bill Swofford. Oliver's July 1969 single "Good Morning Starshine" from the pop/rock musical Hair, reached #3 on the Billboard Hot 100. It sold over one million copies, and was awarded a gold disc by the R.I.A.A. in August 1969. In October 1969, Oliver reached #2 on the Hot 100 and #1 on the Billboard Easy Listening chart with Rod McKuen's ballad "Jean," the theme from the Oscar-winning film The Prime of Miss Jean Brodie. "Jean" also sold over one million copies, garnering Oliver his second gold disc. Oliver performed both hits on a number of TV variety shows and specials in the late 1960s, including the Ed Sullivan Show. Later recordings had much less commercial success: "Sunday Mornin'" peaked at #35 in December 1969, and "Angelica" stalled at #97 in April 1970. His cover of James & Bobby Purify's May 1968 hit "I Can Remember" missed the Hot 100 but climbed into the top 25 of the Billboard Easy Listening chart in August 1970. Oliver also had one influential non-charted recording later in 1970: "Light the Way," composed by Eric Carmen. Oliver's last single on pop music charts was his 1971 cover of Gordon Lightfoot's "Early Morning Rain." 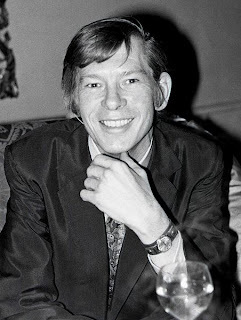 Oliver's producer was Bob Crewe, who also recorded with Frankie Valli and The Four Seasons, Mitch Ryder and the Detroit Wheels, Freddy Cannon, Lesley Gore, Michael Jackson, Bobby Darin, Roberta Flack, Peabo Bryson and Patti LaBelle.In 1971, Oliver and Crewe separated over artistic difference. Oliver preferred a simpler folk sound while Crewe's preferred orchestrated musical arrangements. Resuming his singing career under the name Bill Swofford, Oliver toured hundreds of college campuses in the eastern and southern United States in 1976 and 1977. Swofford did not record any more hit records. A short-lived attempt to team up with Karen Carpenter in the late 1970s was unsuccessful. In 1983, People magazine ran a feature article on Swofford, describing him as a happily married father who kept his distance from the music industry, selling real estate. He was later a business manager for a pharmaceutical company in Louisiana. In the late 1990s, Swofford was diagnosed with cancer. He died at the age of 54 in Shreveport, Louisiana. On June 4, 2009, a resolution was introduced in the North Carolina General Assembly honoring Oliver. … he was 37 years old when he was murdered. 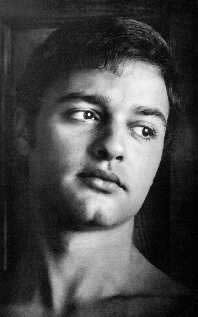 Salvatore “Sal” Mineo, Jr. was born in The Bronx, New York City and was enrolled by his mother in dancing and acting school at an early age. 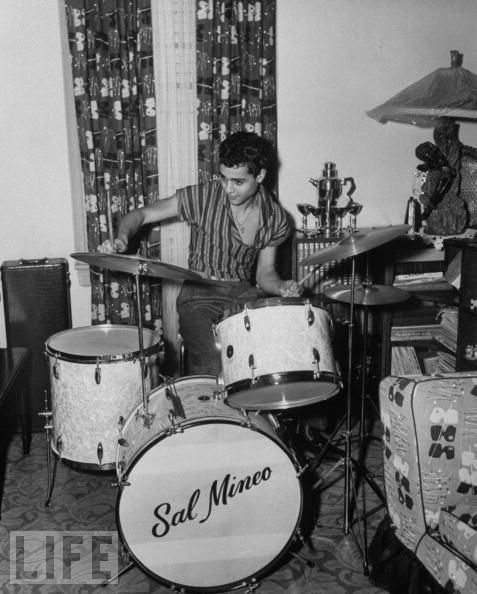 In 1957, Mineo made a brief foray into music by recording a handful of songs and an album. Two of his singles reached the Top 40 pop charts. 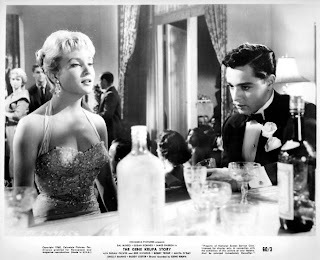 In 1959, Sal also starred as drummer Gene Krupa in the movie The Gene Krupa Story. A little-known facet of Mineo’s career was his involvement with opera. On May 8, 1954, he portrayed the Page (miming to the voice of mezzo-soprano Carol Jones) in the NBC Opera Theatre’s production of Richard Strauss’ Salome, set to the play of Oscar Wilde. But Mineo was best known as an actor. In 1950, he had his first stage appearance in the Tennessee Williams play The Rose Tattoo. He also played the young prince opposite Yul Brynner in the stage musical The King and I. 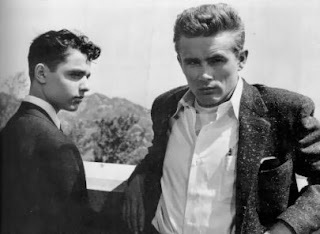 His breakthrough performance came in 1955 when he starred opposite James Dean in Rebel Without A Cause. Mineo played John “Plato” Crawford, the sensitive teenager smitten with James Dean’s Jim Stark. Biographer, Paul Jeffers, recounted that Mineo received thousands of fan letters from young female admirers, was mobbed by them at public appearances and further wrote, “He dated the most beautiful women in Hollywood and New York.” Mineo also appeared in Dean’s last film in 1956, Giant, although they didn’t share any screen time. ... she was 80 years-old when she died from lung cancer. 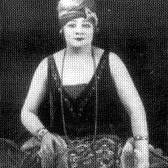 Born Sonia Kalish in Tulchyn, Ukraine in Czarist Russia, Sophie was known for her unique delivery of comical and risque songs. She was one of the most popular entertainers in America during the first two-thirds of the 20th century. She was widely known by the nickname "The Last of the Red Hot Mamas." Her family emigrated to the United States when she was an infant, and settled in Hartford, Connecticut. The family changed its name to Abuza, and her parents opened a restaurant. She started singing for tips in her family's restaurant. In 1903, at the age of 19, she was briefly married to Louis Tuck, from which she decided to change her name to Tucker. Tucker played piano and sang burlesque and vaudeville tunes, at first in blackface. She later said that this was at the insistence of theatre managers, who said she was "too fat and ugly" to be accepted by an audience in any other context. She even sang songs that acknowledged her heft, such as "Nobody Loves a Fat Girl, But Oh How a Fat Girl Can Love." She first made a name for herself by performing African American influenced songs. Not content with performing in the simple minstrel traditions, Tucker hired some of the best African American singers of the time to give her lessons, and hired African American composers to write songs for her act. Tucker made her first appearance in the Ziegfeld Follies in 1909, but did not last long there because Florenz Ziegfeld's other female stars soon refused to share the spotlight with the popular Tucker. William Morris, the founder of the William Morris Agency booked Tucker fresh off her Follies debut at his new American Music Hall. 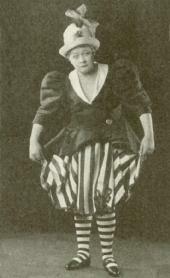 At a 1909 appearance, the luggage containing Tucker's makeup kit was stolen shortly before the show, and she hastily went on stage without her customary blackface. Tucker was a bigger hit without her makeup than with it, and, at the advice of Morris, she never wore blackface again. She did, however, continue to draw much of her material from African American writers as well as African American culture, singing in a ragtime- and blues-influenced style, becoming known for a time as "The Mary Garden of Ragtime," a reference to a famous operatic soprano of the era. Tucker made several popular recordings. They included "Some of These Days," which came out in 1911 on Edison Records. The tune, written by Shelton Brooks, was a hit, and became Tucker's theme song. Later, it was the title of her 1945 autobiography. In 1921, Tucker hired pianist and songwriter Ted Shapiro as her accompanist and musical director, a position he would keep throughout her career. Besides writing a number of songs for Tucker, Shapiro became part of her stage act, playing piano on stage while she sang, and exchanging banter and wisecracks with her in between numbers. Tucker remained a popular singer through the 1920s, and hired stars such as Mamie Smith and Ethel Waters to give her lessons. In 1925, Jack Yellen wrote one of her most famous songs, "My Yiddishe Momme." She also made the first of her many movie appearances in the 1929 sound picture Honky Tonk. 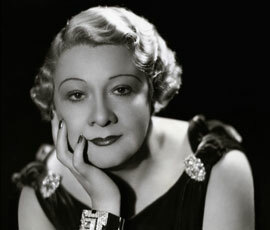 During the 1930s, Tucker brought elements of nostalgia for the early years of 20th century into her show. 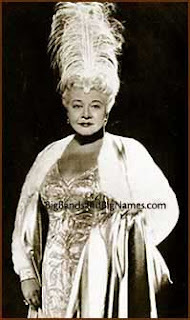 She was billed as "The Last of the Red Hot Mamas," as her hearty sexual appetite was a frequent subject of her songs, unusual for female performers of the era. 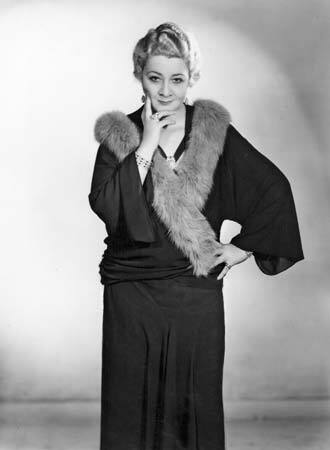 Such was Tucker's notoriety and cultural influence that, as late as 1963, three years before her death, Paul McCartney introduced the song "Til There Was You" at The Beatles' Royal Command Performance at The Prince of Wales Theatre in London on 4 November by saying the song "had also been recorded by our favorite American group, Sophie Tucker." She continued performing in the U.S. and the U.K. until shortly before her death from lung cancer in 1966, at the age of 80. Tucker's comic and singing styles are credited with influencing later female entertainers, including Mae West, Rusty Warren, Joan Rivers, Roseanne Barr, Ethel Merman, "Mama" Cass Elliot of The Mamas & the Papas, and most notably Bette Midler who has included "Soph" as one of her many stage characters - and whose daughter Sophie is reputedly named after Tucker. ... he was 51 years-old when he died from cancer. Carl is considered by many as an important singer in the history of rock music. Carl was singer and guitarist and founding member with The Beach Boys. He was inducted into the Rock and Roll Hall of Fame in 1988. He was the younger brother of fellow Beach Boys Brian Wilson and Dennis Wilson. Wilson played the lead guitar on many of the Beach Boys' band's early hits. Because the band first became successful when he was in his teens, he was still developing as a musician and singer. His lead vocals in the band's first three years included "Summertime Blues" (duet with David Marks), "Louie, Louie" (splitting the lead with Mike Love), "Pom Pom Play Girl," "All Dressed Up for School," and "Girl Don't Tell Me." While they supplied the majority of the instrumental work themselves on the early-'60s recordings, the band started using studio musicians on many of their mid-'60s recordings. Unlike the other members of the band, Carl often played side by side in the studio with the session pros or recorded his guitar leads during the Beach Boys vocal sessions, with his guitar plugged directly into the soundboard. Following his performance of the lead vocal on "God Only Knows" in 1966, Carl was increasingly featured as lead vocalist for the band, unlike earlier when Mike Love and Brian Wilson sang most of the leads. Carl sang most leads on the Smiley Smile and Wild Honey albums, including the hit singles "Good Vibrations," "Darlin'," and "Wild Honey," then on 1969's "I Can Hear Music," which served as Carl's first major studio production. After his elder brother Brian's retirement from the stage in 1965, Carl became the de facto leader of the band onstage, and shortly after became the band's in-studio leader, producing the bulk of the albums 20/20, Sunflower, Surf's Up, Carl and the Passions - So Tough and Holland. Never a prolific songwriter, Wilson's first solo composing contributions to the band, other than a handful of early surf instrumentals, came with 1971's Surf's Up, on which he composed "Long Promised Road" and "Feel Flows" to lyrics by the band's then manager Jack Rieley. He had earlier been given co-writing credits on a few songs, but these appear to have been for arrangement ideas contributed to others' songs - he considered "Long Promised Road" his first real song. On the immediately following Beach Boys albums, he would average one or two songs, co-written with other lyricists or members of the band. Carl's leadership role in the band diminished somewhat in the late '70s, both due to Brian's brief reemergence as the band's producer and substance abuse problems. He nonetheless remained a prominent and recognizable voice in the band, taking lead vocals on many songs and serving as "mix-down producer" on the Brian-produced Love You album. By the time of recording of 1979's L.A., Carl again found himself filling the vocal and songwriting gap left by Brian Wilson. A song he wrote with Brian in 1974 and sang lead on, "Good Timin'", was a Top 40 American hit from that album. During the 1970s Wilson also produced records for several other artists. By the early 1980s Carl took a leave of absence in 1981 due to frustrations with the band's sluggishness to record new material and reluctance to rehearse for live shows. He did not want to part of what he saw increasingly becoming a nostalgia act. He released a solo album, Carl Wilson, which was well received by reviewers. He recorded a second solo album, Youngblood, in 1983, but by the time he had already rejoined The Beach Boys. Although Youngblood did not chart, a single, the John Hall-written "What You Do To Me," did, making Carl only the second Beach Boy to land a solo single on the Billboard Hot 100. Carl frequently performed that song and "Rockin' All Over the World" from the album, as well as "Heaven" from the 1981 album at Beach Boys concerts in the '80s; the latter as a tribute to brother Dennis after his death in December 1983. The Beach Boys' self-titled 1985 album featured many of Carl's lead vocals and songwriting, highlighted by his "It's Gettin' Late" and "Heaven"-like "Where I Belong." At this point, Mike Love became more prominent, and Carl less so. He still remained an important part of the band as a performer, singing lead on the chorus of the band's last big success, 1988's US number one "Kokomo." He carried on touring with the band until the last months of his life. Carl was diagnosed with brain and lung cancer in early 1997. Despite his illness and chemotherapy treatments, Carl continued to perform. He played through the Beach Boys' entire summer tour which ended in the fall of 1997. He sat down most of the time and needed oxygen after every song, but he still had his unique voice. The only time he stood during concerts was when he sang "God Only Knows."